Peggy only dates from the 1930s. Ranchers John Mowinkle and H. R. Smith brought in workers to clear brush for crop planting. A store was opened to supply the workers with necessities and the owners called the store Hollywood for some reason. 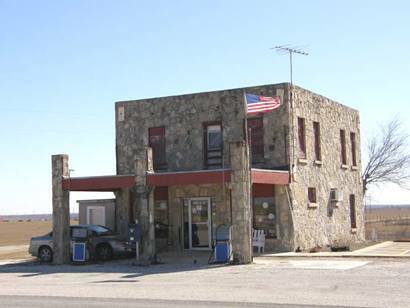 The community took the name Hollywood for several years until the post office was applied for and a permanent name had to be filled in on the application. John Mowinkle's niece, Peggy Mowinkle became the town's namesake. 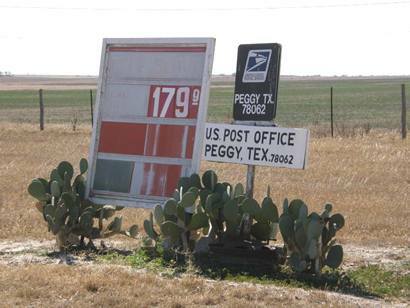 The 1990 census showed 20 people called Peggy home, but they still have the store and post office. 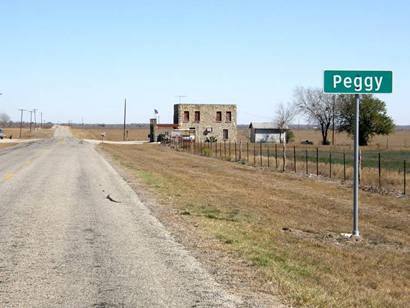 The high-water mark for population occurred in 1961 when the town had 50 residents.